Titan Enterprises, a leading manufacturer of specialist flowmeter, reports on the development of a high-pressure turbine meter for measuring the flow of liquid refrigerants. In response to their OEM customer’s requirements, Titan Enterprises designed a flowmeter able to deliver reliable, high performance across 6 flow ranges from 0.05 to 15 litres per minute. 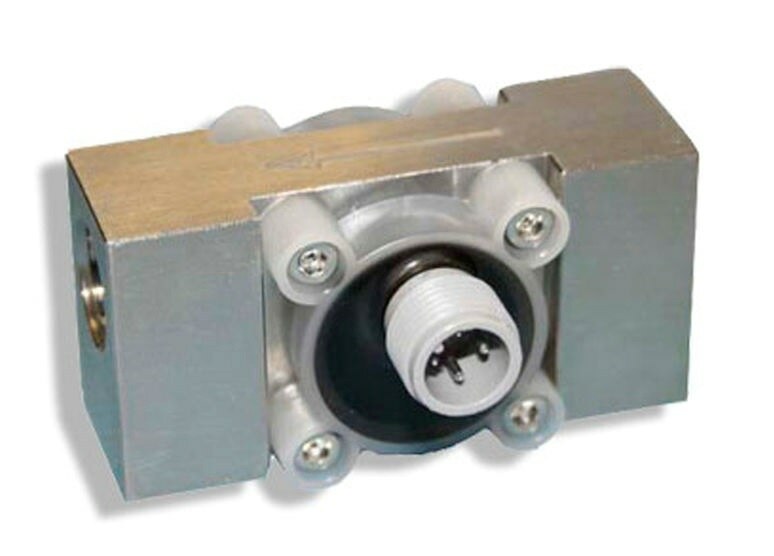 To ensure the highest degree of inertness to the refrigerant fluids the flowmeter polymer components were moulded in an FDA approved grade of Polyvinylidene difluoride (PDVF) and mounted in a 316 stainless steel body. Incorporating steel reinforced polymer components, to give a pressure rating of 40 Bar, the low inertia turbines of the flowmeter have proven ideal for measuring the low viscosities (0.3 to 0.4 centipoises) encountered with volatile refrigerant fluids measured in the liquid form. With careful sensor selection the pressure drop through the flowmeter is low enough to prevent gas break-out and ensure reliable flow measurement from -25°C to +125°C. To discuss development of an application optimised flowmeter please visit www.flowmeters.co.uk or contact Titan Enterprises on [email protected]. Drawing upon over 40-years of flowmeter innovation - Titan Enterprises Ltd are a manufacturer of high-performance solutions including the Atrato ultrasonic flowmeter, Oval Gear flowmeters, low flow Turbine flow meters and a flow instrument range. Titan’s company philosophy of “pushing the envelope by trying to do things a little different and better” has resulted in sales of over 500,000 products into 50 countries worldwide and a repeat purchase percentage of 95%. All flow meters produced by Titan Enterprises are designed and manufactured to ISO9001 and calibrated to an uncertainty of ±0.25%.